St. Peter’s Health Partners is inviting caregivers of those with Alzheimer’s disease and other dementia to attend an event to learn practical strategies for making their caregiving journey easier. 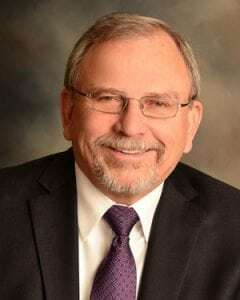 The event will feature a presentation by Herb Magley, a board member of the Alzheimer’s Association Oklahoma Chapter, support group leader, and advocate. Herb lost both his wife, Gail, and father-in-law to Alzheimer’s disease. Throughout the 11 years during which Herb served as caregiver to Gail, he found comfort in using humor to bring joy into her frightening reality. However, the day-to-day challenges of dealing with Alzheimer’s at times felt overwhelming. Herb found the support that he so desperately needed from the Alzheimer’s Association. Following Gail’s death in 2015, Herb decided that he would use his experience to become a passionate advocate for Alzheimer’s research and caregiver support. A reception and light refreshments will follow Herb’s presentation. The program is free, however space is limited. Please reserve your seat by Friday, September 28, by calling (518) 238-4164. Respite care services are available during the presentation Please inquire when registering. Eddy Alzheimer’s Services and its grant partners, Catholic Charities Senior & Caregiver Support Services, and the Alzheimer’s Association of Northeastern New York, provide a wide range of free support and respite services for caregivers. Services include: care consultation, family consultation, education, support groups, respite care, and Alzheimer’s care teams. The Alzhiemer’s Caregivers Support Initiative works with caregivers and families to develop an individualized care plan.